Recently longlisted for the Man Booker prize, the Indian author’s sprawling second novel seeks a place for optimism amid the thick of political and personal devastation. Arundhati Roy has compared the writing of her second novel in two decades, The Ministry of Utmost Happiness (Penguin), to building a city. This isn’t unusual for a self-professed failed architect, formerly trained in Delhi, India. She also comfortably self-identifies as the first aerobics instructor to have won the Man Booker Prize, for her 1997 debut The God of Small Things. But a city is meant to be lived in and ongoing – a patchwork of unsanctioned streets and back alleys, people who come and go without warning, present-day brutality interwoven with maybe-one-day dreams, found families and invented identities, mother tongues and newspeak and local dialects evolving, dying and intermingling in the air. Unlike a traditionally structured literary work, there is no straightforward synopsis or plot in the way we move through it. Nonetheless, The Ministry of Utmost Happiness is this: a multi-voiced story about social outcasts (underprivileged, unclean, preferably unseen) bordering on different identities (of gender, caste, religion) who team up or cross paths against a backdrop of present-day state-sanctioned violence. The Ministry of Utmost Happiness is an anti-novel, a disobedient kind of fiction that wants to shine a Godrej torchlight on the India that is rarely represented in its local news or in tourism campaigns. As a prolific writer of nonfiction and essays, this is familiar ground for Roy – over the years she has denounced, criticised and made enemies of Hindu nationalists, dam builders, mineral extractors, global corporations, and the Indian military: a stance that has often landed her in trouble with authorities. In a 2007 interview, Roy spoke of how her worldview has been affected by her involvement in political protest: ‘Once you’ve seen certain things, you can’t un-see them, and seeing nothing is as political an act as seeing something.’ It is no coincidence that in Ministry, similar political issues either directly affect or cast a shadow over the characters. The novel follows two overlapping threads that, while not complex, challenge the reader’s ability to keep up – it’s a book that requires attention lest you become adrift and wonder if you’ve ended up in a different book than you first started. One thread follows the novel’s three most memorable characters: Anjum, a hijra (transgender woman); Saddam Hussein, a Hindu pretending to be a Muslim, who names himself after the dictator, whose dignity in death he cannot help but respect; and Tilottama, an architecture student wary of motherhood and the act of unleashing a new version of herself into the world. She is also adored by three university students who later on in the book become involved with the Kashmir conflict – one as a journalist (whom Tilo later marries), another as an intelligence officer (who despite marrying someone else, loves Tilo ‘without pride’ or hope), and another as a freedom fighter (whom Tilo lives with briefly in a Srinagar houseboat). The second string follows borders ­– both literal and nonliteral – between New and Old Delhi; a city for politically idealistic dreamers on hunger strikes among the shiny and vulgar middle-class, and the generation Roy names the ‘Coca Cola kids…[and] MTV rich brats’. It stands in direct contrast to the displaced population of Kashmir, a separate fever-dream of a thread in the story, which reminds us that the state is far from the Switzerland-esque image of ‘snowy landscapes and happy people in warm clothes’ that its Tourism Department tries to sell. Roy instead writes of the country’s struggle for independence from India, which began in the 1990s, and of how the people of Kashmir have continued the push to form their own state and government, with civilians regularly arrested, tortured, and going missing. It often feels as though Roy wants to liquefy the English language and watch us learn to swim in her ocean of vocabulary. The multilingualism of Ministry is a comfort, if perhaps slightly disorienting to Western audiences. It suggests that no one person (or language) can claim to represent India – there are too many cultures, castes, religions, not to mention writers publishing their work in less-publicised regional languages – and that everything and nothing you’ve heard can be true, depending on who you choose to listen to. Similarly, in The God of Small Things, set in the South Indian village of Ayemenem, English was prised apart and glued back together. Through the mouths and eyes of young twin siblings Rahel and Estha, ‘later’ becomes ‘Lay. Ter.’, ‘an owl’ becomes ‘a Nowl’ and ‘exactly’ becomes ‘eggzackly’. Indeed, Roy’s vivid use of language is the novel’s biggest relief – and reward. She has the ability to summon lifelike imagery – of hijras running from the police ‘like ghouls through… the rain, their make-up running…faster than their legs could’; schoolgirls clamouring for an orange bar at the ice cream cart; of rose-ringed parakeets flying to safety. The story weaves its way between the voices of those who seek out the absurdity of life to keep laughing, as well as those who remind us of eviscerating truths to stay sane. In one passage, Anjum and Saddam are described in the Khwabgah (The House of Dreams; a house where the hijras live) as floating ‘through their lives like a pair of astronauts, defying gravity, limited only by the outer walls of their fuchsia spaceship with its pale pistachio doors’ on a hot summer day. 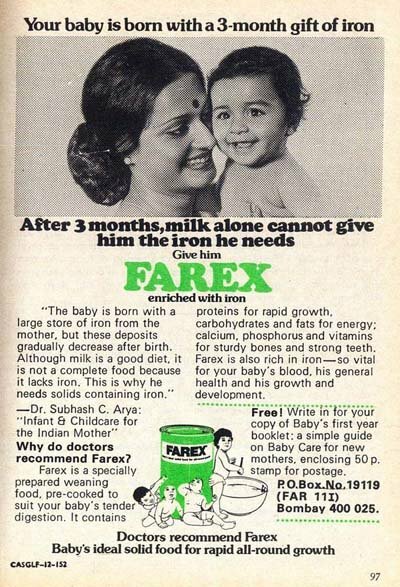 In another, Roy’s disdain for consumerism and hypocrisy shines through: a Muslim film star from Bombay (which Roy uses over ‘Mumbai’, perhaps a subtle dig at the Hindu nationalist politicians that brought about the name change officially in the mid-90s) smiles a ‘gummy Farex-baby smile’ while preaching the joys of celibacy. Sometimes, the English language is even deliberately inverted. On one page, a character named Rolypoly admits to being ‘dump-struck’ when the police knocked on her door looking for a missing baby, and another, Amrik Singh, says plainly, ‘I am being made an escape goat’. These small gems of wordplay are a delight to look out for in the novel, even at times when keeping track of the travelling band of characters becomes a burden. Some of Ministry’s DNA comes from magical realism, a genre that believes that there must be at least two separate realities – the reality of the conquerors as well as that of the conquered. And sometimes, to paraphrase a James Baldwin epigram that appears halfway through the novel, people don’t believe us precisely because they know that what we’re saying is true. This is apt for a work of postcolonial literature. In the novel, against the backdrop of Hindu mobs, freedom fighters, and massacres, babies are stolen and kidnapped and adopted, women become revolutionaries to escape their problems at home. Bones whisper secrets. Hair growing makes a sound like moths crisping against a light bulb. It’s a way of seeing and feeling, but also a way of believing, although Roy assured readers in a recent BBC Radio interview that the novel isn’t simply an ‘idiot’s accumulation’ of words and thoughts. Rather, it’s an attempt to translate the air of a city in constant upheaval – a place where the dead can be living, and the living are just dead people pretending. Where schoolgirls throw rocks at soldiers, and families at home are expected to applaud the horror unfolding on the news in the name of national pride. [Ministry is] an attempt to translate the air of a city in constant upheaval – a place where the dead can be living, and the living are just dead people pretending. Some critics have argued the zigzagging, multilingual narrative reads like a 400-page first draft, but this novel didn’t happen overnight. In the two decades since The God of Small Things, issues around free speech and censorship in India have continued to be debated, and it’s no surprise that Roy’s interest in politics and polemic found its way into the speech patterns and worldviews of many of her characters. Sometimes this stirs a laser-focussed specificity in the novel – for example, when Nimmo, one of the residents of The House of Dreams, accuses a young pre-transitioned Anjum of having normal-people-problems with a sarcastic nursery rhyme chant of ‘Price-rise, children’s school-admissions, husbands’ beatings, wives’ cheatings, Indo-Pak war,’ or with the inclusion of a four-page Kashmiri-English dictionary-in-progress discovered by one of the characters (A for AK-47; S for Sadbhavana, otherwise known as goodwill). Other times, the sheer amount of detail on the page is overwhelming – like a universe crammed into a shoebox – and proves a challenge to process in a single sitting. Roy has rejected concerns over following up her previous success. Where The God of Small Things achieved its success not because it fit the tag of ‘Indian fiction’ but because it was seen as universal, recognisable to anyone, the second novel avoids categorisation altogether. Ministry plays like the structure of a classical raga (a melodic mode of Indian classical music), where instead of changing from one to the other, notes are explored from different angles, in different directions, moods and tones. It even mimics the South Asian theatre art of kathakali, literally meaning ‘performance of the story’. It’s a conversation between the artist and the audience, so that the book plays out like an intricately realised stage play than a three-act conveyer-belt narrative. Sometimes, though, this feels like puppetry – if we peer close enough, we can see the strings manipulating the politics amidst the plot, even alongside Roy’s incredible command of language. It’s like seeing a boom pole in an otherwise beautifully composed mise en scène, or watching an actor snap out of character in between takes because they’re cold or tired or hungry and want the director to call a wrap. Consequently, some of the exposition and let-me-tell-you-before-I-forget backstory feels like a gluggy bowl of rice that needs to be swallowed before returning to Roy’s more electric prose. Ministry plays like the structure of a classical raga, where notes are explored from different angles, in different directions, moods and tones. For all its kaleidoscopic shapeshifting, The Ministry of Utmost Happiness offers us a narrative of difficulty as a kind of triumph. Not just being a witness to pain or suffering, but as a reader who at the end of this story realises that once knowledge has been acquired it can’t be taken away from us. BBC Radio broadcaster Philip Dodd recently attempted to position Roy’s latest work as ‘the great inclusive Indian novel’. The danger in trying to be everything to everyone is that you risk being nothing to anyone – but in Roy’s universe even a few seconds of dead time or a backwards glance at the scene we just walked away from can reveal the most unexpected fragility – from a dung beetle, respectably named Guih Kyom, with his legs up in the air, India’s own Chicken Little, trying to make sure the sky doesn’t fall. Or a young person who insists on being called Miss Jebeen peeing under a streetlight, without forgetting to marvel at the stars reflected in the puddle of urine she’s just made. In a recent studio interview with Democracy Now!, when asked to explain her novel, Roy laughs. ‘What is the path to happiness?’ she asks. ‘Happiness is not a building or an institution that lasts forever. You enjoy it while you can.’ While flawed, frustrating, rewarding, and immense because it springs from the brain of an author who is never at a loss for words, The Ministry of Utmost Happiness is a master work (at least in an architectural sense) that is as fascinated with the author’s birth country as it is disappointed by it. As readers, while we may not share all of Roy’s politics, her worldview is compelling. Even if it does rely heavily on mockery, irony and questioning why bureaucrats (or readers) are so afraid of feeling or poetry in place of an argument or slogan, Roy’s second novel proves there is still a place for optimism in the thick of devastation – maybe not with the expected outcome of world peace, but at least with the urge of a self-willed, stainless-steel sort of hope. The Ministry of Utmost Happiness is available now at Readings.